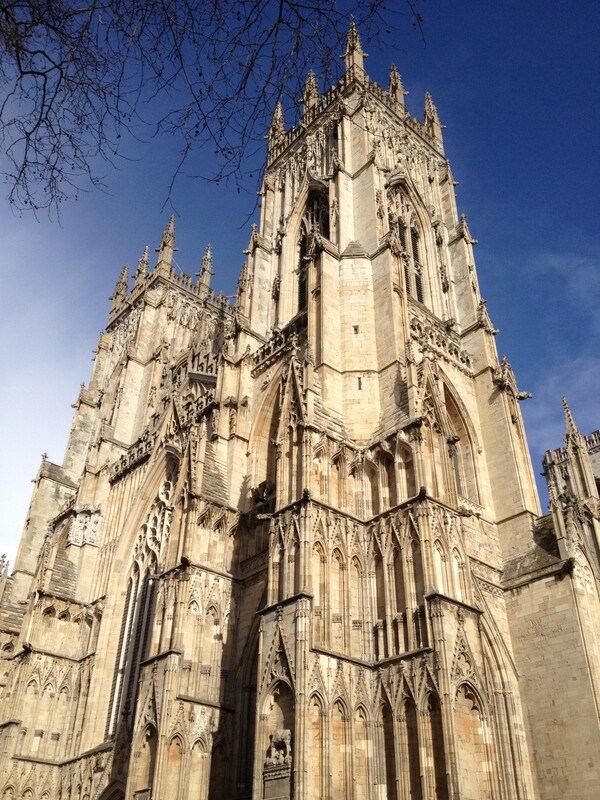 We enjoyed a day in York as part of our holidays last month. 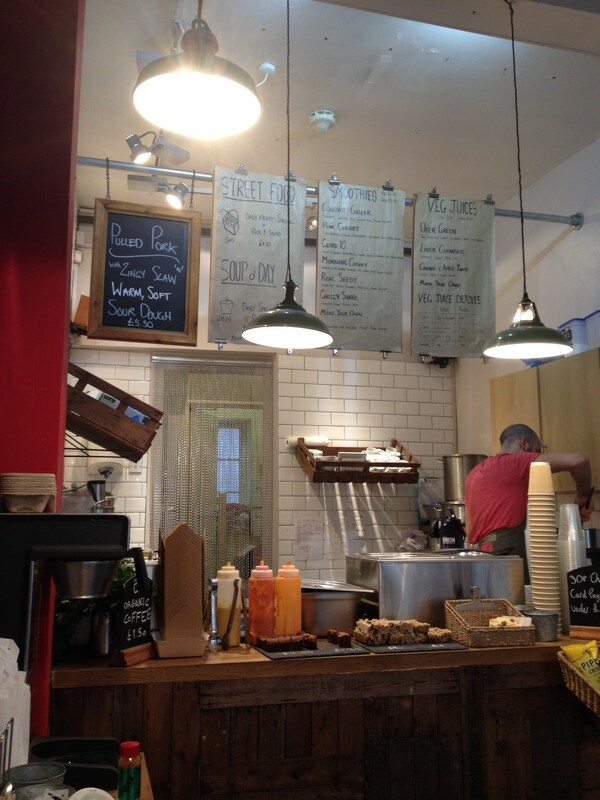 As well as marching around the city walls and admiring York Minster, we also partook in some delicious foodie stops. 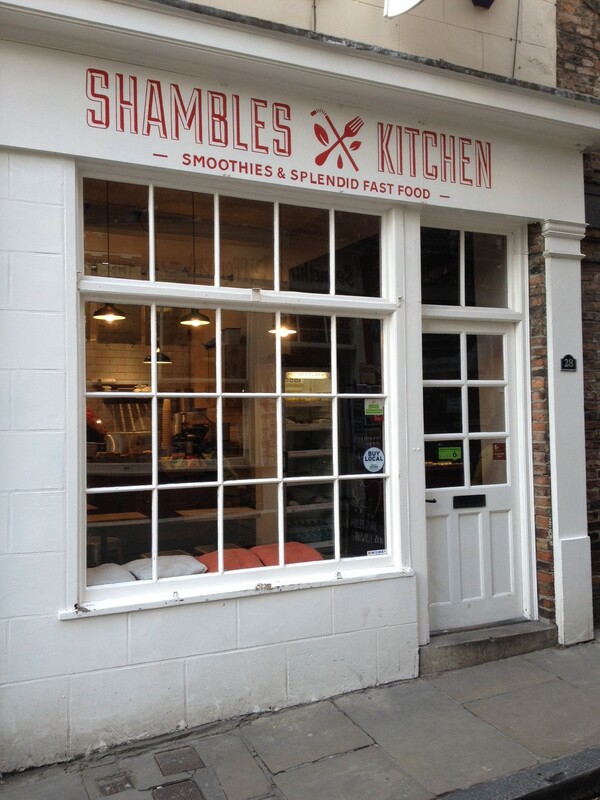 A quick look at Trip Advisor told us we’d get a fab fast and healthy lunch at Shambles Kitchen (it’s currently rated #3 in their list of restaurants). Tucked deep in the cobbled Shambles, there are a few seats inside, but most people take away. A simple menu of of paninis, daily specials and smoothies greet you. 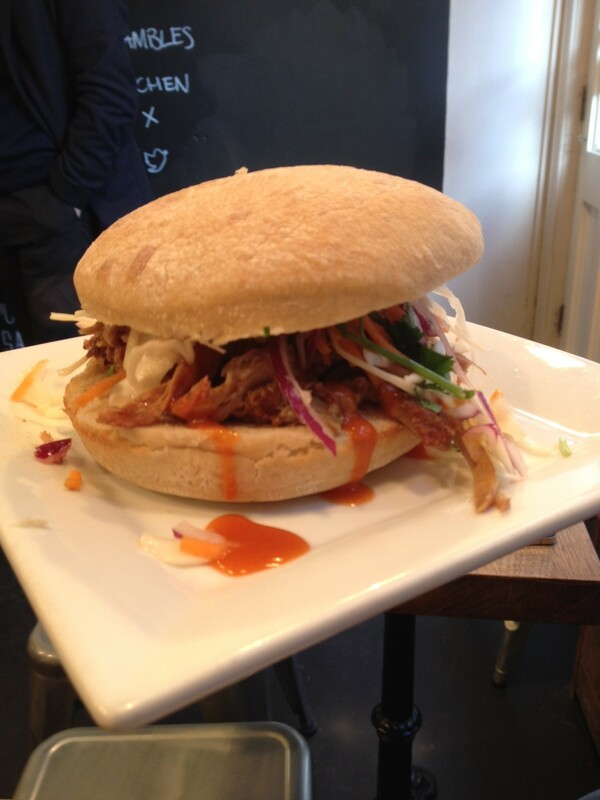 We can never resist pulled pork, so we both chose the sour dough bun heaped with a load of smoky pork, a slaw, fresh coriander and optional sauce (BBQ apple for him, honey mustard for me). The super soft bun was amazing and it was very hard (for me at least) not to spill any of the filling- a testament to how full the bun was packed! That said, everything tasted so fresh and tasty! From a wide smoothie selection, I also chose a Pom Cherry smoothie – filled with strawberries, pomegranate, dark cherries, fat free frozen yoghurt and cranberry juice which was refreshing and creamy. It wasn’t too busy when we popped in, so managed to have a chat with one of the owners about the small business scene in York, a new recipe he was trying out for salt beef. Both of the staff were really friendly and obviously care about presenting their local good quality ingredients in a fast yet healthy way. If I lived or worked in York, this would definitely be a regular haunt for me – due to the combination of fantastic flavours and friendly staff. It’s well deserved to be so highly rated on the York foodie scene. This isn’t a sponsored post – I’m just all about sharing good food and I would recommend this to any York locals or visitors.